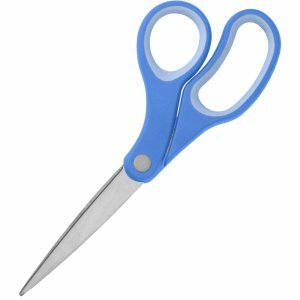 Multipurpose scissors deliver precise cuts using high-quality, stainless steel blades that are corrosion-resistant. Blades are finely ground for smooth, constant cutting. Reliable design features bent handles and a rubberized grip. Scissors are great for everyday use in your home office.